Centric Air 2.0 ENERGY SAVER 207 WATTS WHOLE HOUSE FAN up to 1500 SQ. FT. 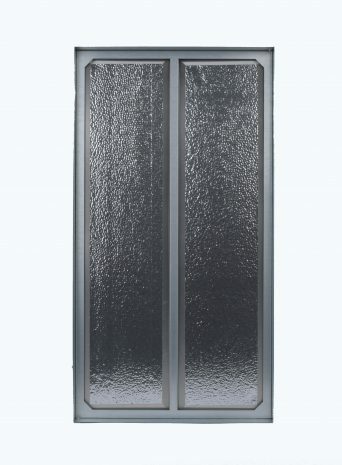 Grille Size (outer): 16" × 24"
Rough Opening: 14" × 22"
The Centric Air 2.0 is a high quality, very powerful and ultra quiet alternative cooling solution. It uses a German engineered industrial grade fan motor that can provide 30% more power while using 1/3 less energy as compared to other industry standard fans. 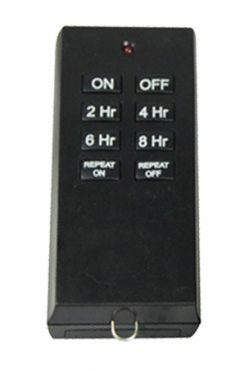 The optional two speed wireless remote control with timer is our most versatile control. It consists of an LED display which features a 5 Timer Function 1, 2, 4, 8 hours or ON, and Two speed (HI/LOW) operation. The Centric Air 2.0 comes with a high air flow register that reduces air movement noise through the register. These high-performance grills look great too, so your system looks as inconspicuous as it sounds. I had a pleasure of purchasing my Whole House System from Factory Fans Direct. This wasn't first Whole House Fan I've owned/purchased (I've owned 3 homes with old style whole house fans... very noisy), but by far... it is the BEST Whole House Fan I've had a pleasure to own. Centric Air Fans are the highest quality systems.... quiet, efficient and working without any problems. Installation was easy... although I own a 100 year old house, so it is a little harder to install it than in newer homes. I loved the fact that I did not have to do any wiring, as with their wireless remote control... you just plug in the unit into AC outlet and... it all works. This company went out of their way to help me. I would not only not hesitate to purchase again from them, but I would highly recommend them to ANY buyer. Their Whole House Fan works GREAT! It is quiet and does the job.... I Love my Whole House Fan!!! Support before and after installation was simply extraordinary... . I could not be happier and only wish that those, that have a need to buy Whole House Fans.... will make a smart decision and buy from Factory Fans Direct. Well.... I know if may sound like I am bragging about the fan, company and their service, but.... there is just too many companies that don't care about their clients after they make a purchase..... Factory Fans Direct Fans is different.... They Do Care and They Do Stand Behind Their Product. We are in the business of Real Estate and I am already recommending this company to my clients knowing that they will not only deliver, but will stand behind their product. I have a smaller 1100 sq. ft. home and after a while, I got sick of tripping over box fans and decided to spring for a whole house fan. This fan makes all the difference. It's a lot quieter than having a bunch of separate fans, and it's way more efficient, too. No more tripping, either. Great Product!! I had an old ceiling mount fan in my house and it was so noisy we could not sleep at night. We pulled that fan out and installed the CentricAir 2.0 and what a difference. More efficient, super quiet and cools better. 5 Stars to CentricAir.